BRYAN EATON/ Staff Photo. 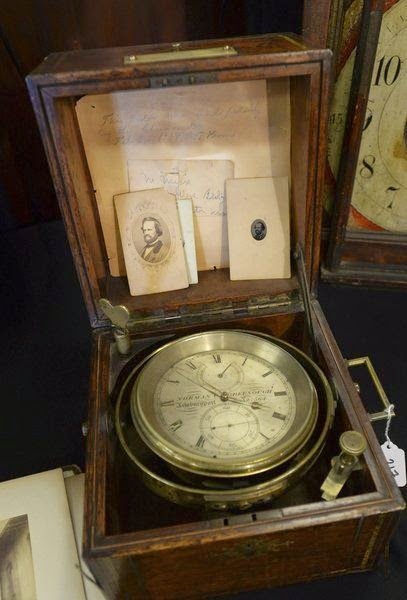 A nineteenth century chronometer made of walnut wood and brass by watchmaker Norman C. Greenough. 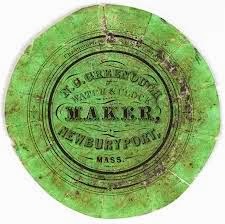 He moved to Newburyport in 1851 and set up shop off Market Square. His photo is pictured at left. Norman Greenough (1820-1886) was son of Brackett L Greenough and Abigail Cummings. 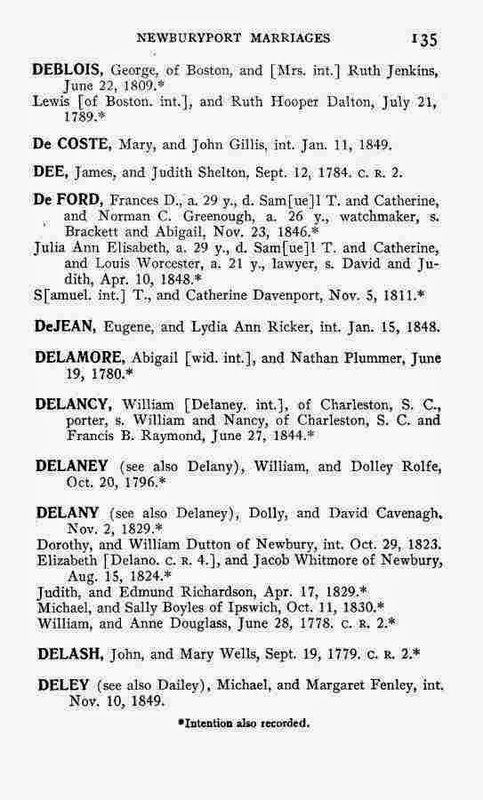 He married Francis Davenport DeFord (1816-1887) daughter Samuel Tibbett DeFord and Catherine Greenleaf Davenport daughter of Anthony Davenport and Catherine Greenleaf. The Davenport family owned the Wolfe Tavern. Great story and the auction sounds like it will be outstanding! Thanks for sharing! Melissa - you continue to impress me with your, excuse the expression, story telling. I also know exactly or close to it that connected feeling you get when you "connect". Very very cool!!! Happy New Year - new friend. Hope the new one is good for you.